Continuing with my mission this year to raise the profile of my fellow film directors and producers, I will be running #DirectorShowreelDay again on 26th July 2018. This is where we directors get to share our short films, trailers and showreels with a view to connecting with writers, producers and agents, or even just meeting new people for collaborations. All you need to do to participate is (1) Share your work using the #DirectorShowreelDay hashtag on 26th July 2018; (2) Include in your tweet/post what you are looking for e.g. collaborations, agents, producers, writers; (3) retweet/share other reels from the day. That’s it! 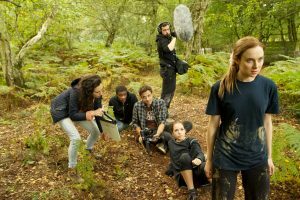 I also had an opportunity to interview film and stage director Neilson Black, following on from his meeting one of our producers Lawrence Mallinson at the Dorking Film Festival earlier this year. Neilson began his training at Raindance Film School and Central School of Speech and Drama. 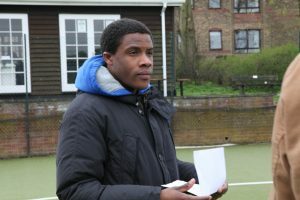 After training he worked in film production to build up his set experience and CV whilst writing scripts in his spare time. 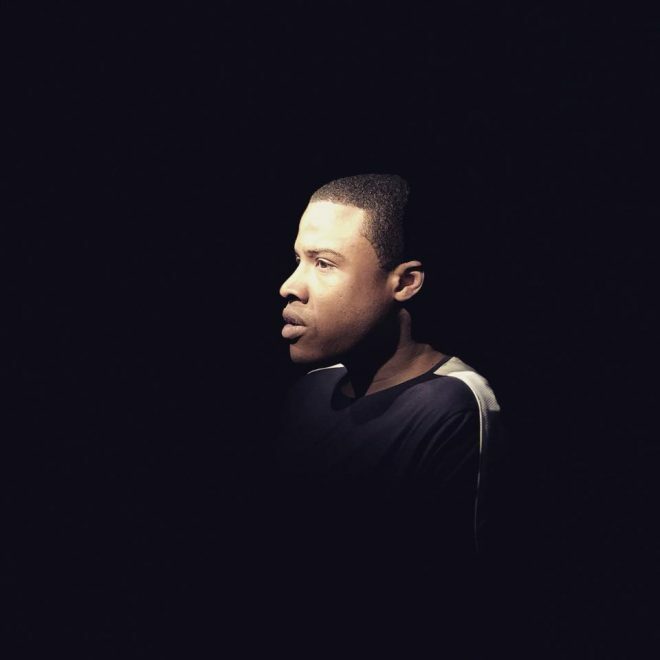 This led him to writing and directing three plays and three music videos. To gain more control of his artistic voice, Neilson started his own production company Pattern Maker Films where he write, direct and produces its short and feature films. 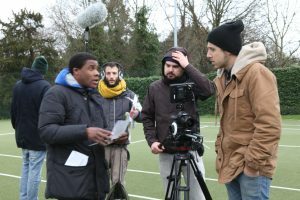 His passion is to write and direct narrative content, but he is also an experienced producer and production manager in the independent film arena. I would describe myself as a proactive get up and go doer, ambitious, passionate and brave. 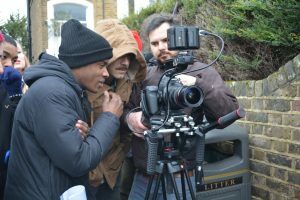 An example of this being: when starting out as a runner I had so many ideas, passion to tell stories and scripts that I was confined and trapped had I not started my own production company to put those scripts into action. Everyone else was too busy to care about my vision so I didn’t wait for someone to give me an opportunity, I created the opportunities for myself. It is the only way and then I had material to show. I knew I wanted to be a film director when I was around 6/7 years old. At that age I used to watch the same films over and over again like The Godfather. I was one of those people. My dad had an old JVC camcorder which I used to make my own movies. I would write the scripts, play the characters, source the costumes, handle the camera and of course direct the film. I even designed the VHS cover. As an adult, around 19/20 years old, I knew for a fact I wanted to be a filmmaker as a career after watching DVD ‘Making Of’s’. They made me believe I could do what they did and is what led me to film school and I haven’t looked back since. 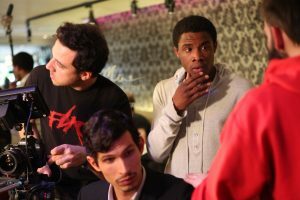 My work as a director consists of three plays, three music videos, six short films and one feature film. I believe I have found my style in black comedy and drama. When I started out I didn’t know what type of filmmaker I wanted to be. As a boy I was influenced by Steven Spielberg, and when I started writing around the time I went to film school I was heavily influenced by Woody Allen, most notably his film at the time Match Point. I have a keen interest for dramatic stories with simple characters and settings, the style mainly found in European cinema most notably French cinema. My short films were experiments to find my voice, but drama was evident in all of them. Comedy developed properly later. By the time I did my short film Paradis (my best attempt at blending the drama and black comedy themes) this is when I knew I found my niche. My work is totally inspired by Wes Anderson and Woody Allen, both being my film director heroes. The style of film I love most is French new wave. I have two greatest achievements in my career. The first being my short film Paradis which is by far my most successful project to date: screening at six international film festivals, most notably Orlando Film Festival in the US, and winning Best Film at Dorking Film Festival in the UK. The second is my debut feature film New You which has just begun its festival submission process. By far my greatest achievement because features are big projects and I got the film into production and released within 16 months. I also produced the entire project by myself after being turned down continuously. My biggest challenges most certainly lie with New You. Raising the funds at development and pre-production stage was one thing. 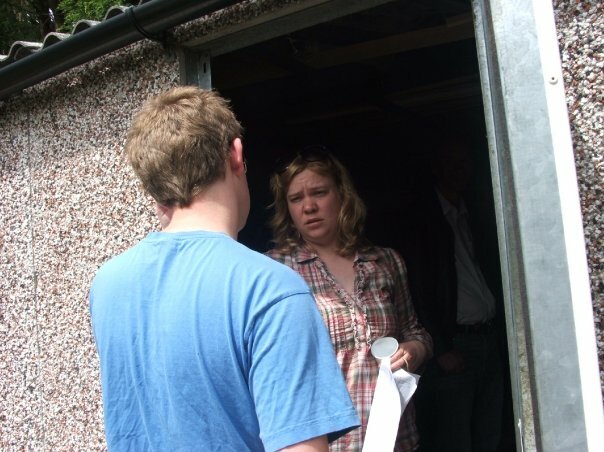 But during production, budget was overspent so I had to re-raise to complete post production. I then had to re-raise again to get the film through its its marketing and deliverables. 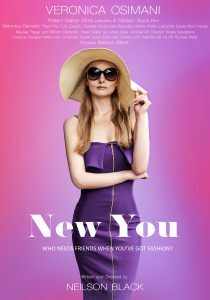 New You was a constant matter of re-raising after re-raising (and it hasn’t stopped today). Also managing a cast and crew of that size was character-testing to be polite. Just seeing the project through to the end was a challenge in itself and at times during pre and post production the film was in danger of collapsing multiple times. My plan for the film now is to test its waters with low to medium tier festivals. I am currently speaking to one independent sales agent from America whom is interested in giving the film its sales home. The purpose of this film is to see how well a first time feature can perform in front of an audience and on the market. Ultimately it is learning project but of course hoping for a positive outcome. The film being very micro budget with no names, I am realistic enough to release the film to a ‘small pond’ to see how it does before competing against films that have much higher production value. I plan to go about building an audience with the movie by screening it at low to medium tier film festivals as I mentioned. I want to build word of mouth at regular networking events and be an attendee of film festivals even if the film is not exhibiting. I will continuously be designing and printing up to date marketing material such as flyers, cards and DVD’s to promote the film and keep its interest relevant. Right now if I had the chance to work with anybody in the industry it would be the composer Alexandre Desplat because his music would suit my films like a glove. Keira Knightley because of her Britishness and the richness she would bring to one of my female characters. The cinematographer Bill Pope because I think our styles are very similar. And finally the sales and distribution company Wild Bunch because they are the ideal company for my films to find a home, due to the style of films they represent. I see myself in 5 years producing for a very large sales and distribution company. And my films being continuously financially backed, outputting a feature every 2 years, and as a result my production company Pattern Maker Films turning over annual profits.